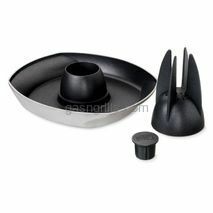 Weber Original Accessories for all Weber Gas Grills and charcoal grills. Brushes, covers, utensils , lights and others. 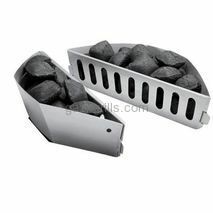 Weber Char-Basket Charcoal Holders.Made of durable aluminized steel, these holders allow for convenient indirect cooking.Fits 22.5" Bar-B-Kettle, One Touch and Master Touch Charcoal Grills. One Pair. 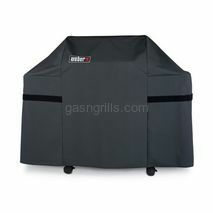 Weber Premium Cover for 18 1/2" Charcoal Grills.Full-length heavy-duty vinyl protects 18 1/2" charcoal grills. 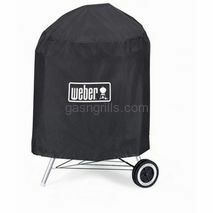 Weber Premium Cover for 22 1/2" Charcoal Grills.Full-length heavy-duty vinyl protects 22 1/2" charcoal grills. Weber Rib Rack.Stand up slabs of ribs and whole chicken legs while grilling. 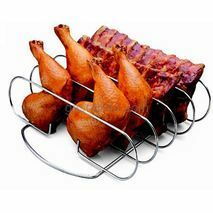 Rib rack is made of heavy-duty plated steel and is dishwasher safe. 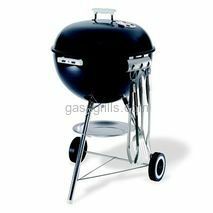 Fits on 18-1/2" diameter and larger kettles and all Weber® full-size gas grills. 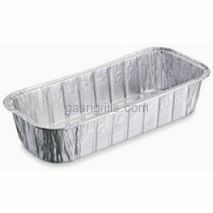 Weber Small Drip Pans.Foil Liners for grease catch pan. 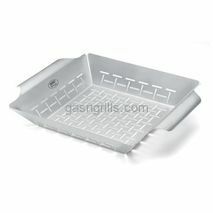 Each pan measures 1.4" H X 7.5 L X 5 D.
10 pans per pack ( Does not fit Summit 4-burner and 6-burner gas grills). 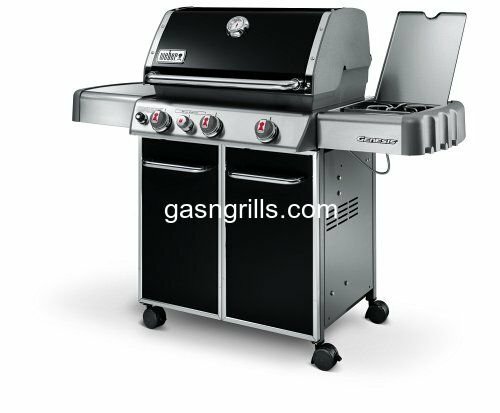 Summit 6-Burner gas Grills(2004 and newer). 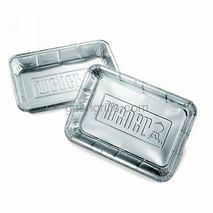 Each Pan measures 11" X 5" X 2.5". Weber Stainless Steel Charcoal Grill Tool Holder.Hang up to three tools from this stainless steel tool holder. 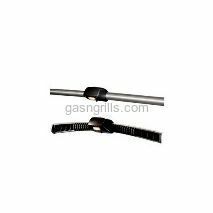 Fits 18-1/2" and 22-1/2" Weber® charcoal grills. 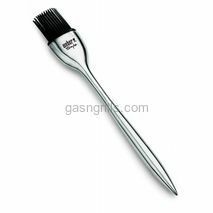 Weber Style Silicone Basting Brush.This basting brush is 12 Inch long, has a stainless steel handle, and the bristles are made of silicone, so they won't shed. Weber Vegetable Basket.Simply chop or slice your favorite veggies, toss them in the pan, and place it on the Grill along side your main entree.All the grilled flavor with none of the hassle of turning small vegetable pieces. Made of Stainless Steel.